Deep in the hinterland of Gordon Brown’s intellect is a protected zone dedicated to a woman who has been dubbed the queen bee of American neoconservatives. It is Gertrude Himmelfarb’s books that he packs for his holiday reading, her quotations that embellish his speeches. The prime minister has now taken the final step of recording his adoration in print. Himmelfarb is an 85-year-old historian and former Trotskyite who acts as the mother superior of <?xml:namespace prefix = st1 ns = "urn:schemas-microsoft-com:office:smarttags" />America’s moral majority. Her advocacy of Victorian values to remedy the western world’s “grievous moral disorder” has struck a chord on both sides of the Atlantic ever since the era of Margaret Thatcher and Ronald Reagan. These days, George W Bush pays court to Himmelfarb with invitations to impart the lessons of history at White House soir饳, while Brown has agreed to pen the introduction to her next book. This reprints her 2004 work The Roads to Modernity, which argues for the rehabilitation of British enlightenment and informed the prime minister’s recent speech on liberty at the University of Westminster. Himmelfarb, known to friends as Bea, is the matriarch of a family that has been making the political weather in America for four decades. Her husband, Irving Kristol, is a journalist and essayist known as the godfather of neoconservatism. Their son, William, who earned the nickname “Dan Quayle’s brain” when chief of staff to George Bush Sr’s hapless vice-president, edits the Weekly Standard and is chairman of the neoconservative think tank Project for the New American Century. “No family has had a greater impact on today’s conservatism than the Kristols,” said The New Yorker magazine. Brown received the book that became his crib from Irwin Stelzer, the economist and Sunday Times columnist, who is a close friend of Himmelfarb. “My wife and I have been exchanging books with Gordon for some time,” he recalled. In fact, Stelzer admits, Brown’s embrace of Himmelfarb’s work exposes “a massive contradiction”. This did not stop him inviting her to Downing Street when he was chancellor, nor offering to throw the launch party for her new volume at No 10. Himmelfarb and Kristol enjoy a busy social life at the Watergate complex overlooking the Potomac River in Washington, dining with friends three or four times a week. The walls of their spacious apartment are lined with books and prints, including portraits of the English poets Chaucer and Pope. However, her emphasis on the virtues of individual responsibility and religion drive American liberals up the wall. Praise for the verve and clarity of her writing is balanced by a desire among some critics to savage her ideas. One wrote of her 1999 book One Nation, Two Cultures that she manifested the intellect of “the village biddy who sticks her blue nose into everyone else’s business, offering opinions nobody asked for about how everybody else should live”. Simon Jenkins confessed in his review for The Sunday Times of Himmelfarb’s last work, The Moral Imagination, that he “frequently hurled this book across the room in frustration”. Himmelfarb’s own past was not so rosy. She grew up in what she described as a respectable but poor Jewish family living in Brooklyn, New York; her parents had emigrated from Russia just before the first world war. She was not an observant Jew, although she later took night courses in Hebrew literature and described Jews as exemplars of Victorian values in late 19th-century London. After graduating from Brooklyn College, she moved to the University of Chicago, attracted by its “very hothousy kind of intellectual atmosphere”. Married as an undergraduate in 1942, she had no career plans when her husband left to serve with the US infantry in Europe. At Chicago she studied under Louis Gottschalk, a distinguished scholar of the French revolution, but it was her dissertation on Lord Acton, the English historian, that launched her literary career in 1952. Acton hooked her on Victorian England. She was able to delve deeper in London, where her husband founded the literary magazine Encounter with the poet Stephen Spender in 1953 and remained its editor for five years. She took up a fellowship at Girton College, Cambridge. When they returned to New York she settled in for a long stint teaching at City University. 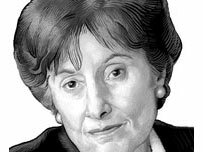 She and Kristol were typical of many neoconservatives, a term coined to describe a group of largely New York intellectuals who turned from left-wing causes towards the right during the late 1960s and 1970s. The catalyst was the insurgency of 1960s counter-culture. The liberal left had surrendered to an unholy alliance of Marx, antiintellectualism, drugs and violence. The new culture, she believed, spread rapidly because it was easy to adopt: “Virtues are hard. Vices are easy to come by.” The target of the counter-culture was the Establishment, which capitulated and jettisoned its self-discipline. In the final stage of their conversion, the neocons became celebrants of American capitalism and traditional values. For many, that meant attacking affirmative action and feminism. Himmelfarb has deplored mothers of young children who go to work. Instead, she contended, society should aspire to a moral climate where motherhood and domesticity are “as respectable a calling as the profession of law or the practice of business”. She has certainly never held back her strong views. She has voiced fears that “the frenzy of intermarriage” would produce “a point of diminishing returns, where you no longer have a critical mass of Jews – that’s to say, enough people to reinforce your own convictions”. She described as “spousal abuse” John Bayley’s book detailing the dementia of his wife Iris Murdoch. Yet Himmelfarb has a huge following among the young. “She provokes the liberal left a great deal,” said Stelzer. “The left is collectivist and secular, whereas all her writing is geared towards the virtues of individual responsibility and a role for religion in public life.” For Brown watchers, it will be fascinating to observe how his moral compass registers the conflict between his heroine’s Victorian precepts and the pressing demands of government.